Facebook was built around one concept: connect with your friends. Today, millions of people do just that. They use Facebook to interact with the people that matter to them. Facebook loves to celebrate these friendships that make the core of its network and today, they are releasing Say Thanks, an experience that lets you create personalized video cards for your friends. 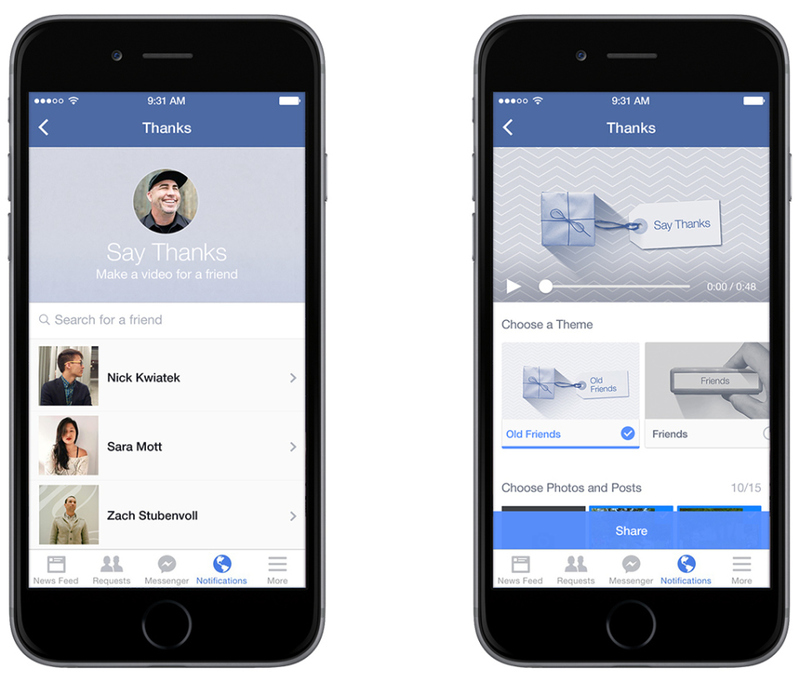 #Facebook released #SayThanks, a new way to celebrate your friends. To create a Say Thanks video, you will simply need to choose a friend. Facebook will generate a preview of the video but you will be able to select a different theme and edit the photos and posts that represent your friendship. When you are happy with the video, just click Share. You then have the option of adding a personalised message before posting. The video card will be posted on your Timeline and your friend will be tagged, so it will also appear on their Timeline. Say Thanks is available globally on both desktop and mobile in English, French, German, Indonesian, Italian, Portuguese, Spanish and Turkish. To create a Say Thanks video, visit facebook.com/thanks.